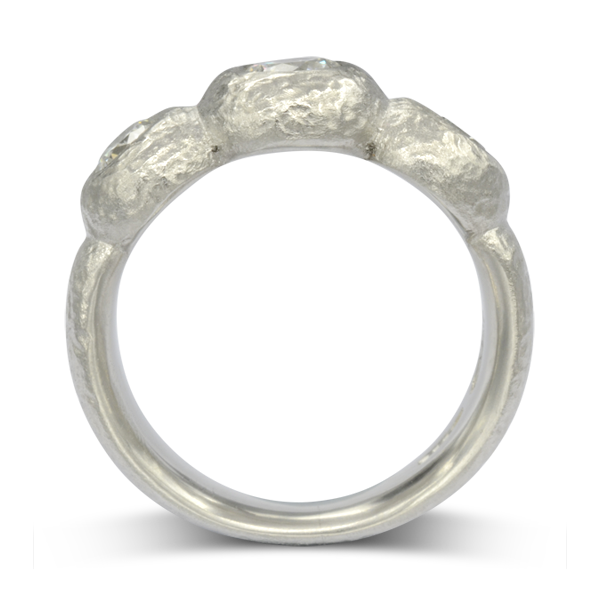 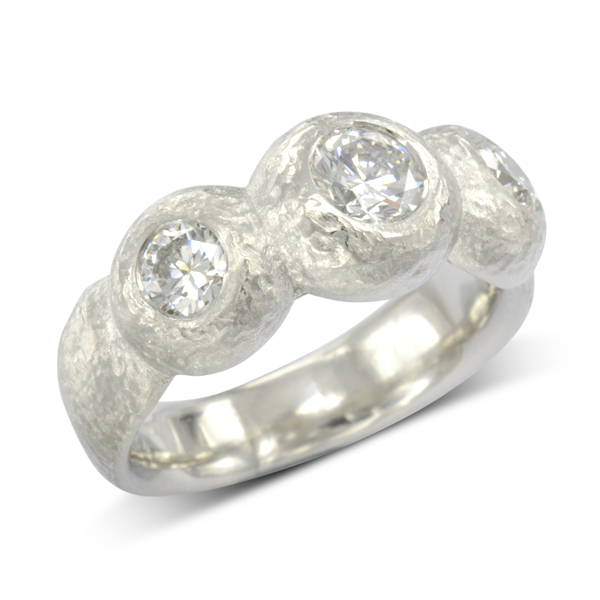 1ct Diamond Nugget Trilogy Ring. 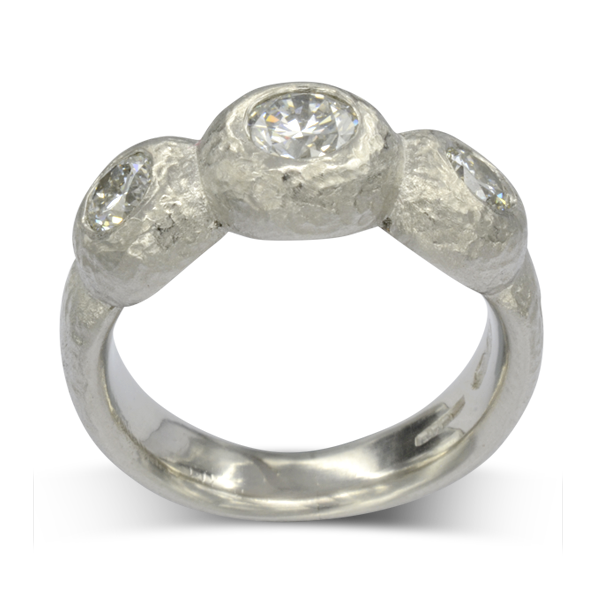 A platinum ring in our “nugget collection” style set with a half carat round brilliant cut centre stone and two quarter carat side stones. 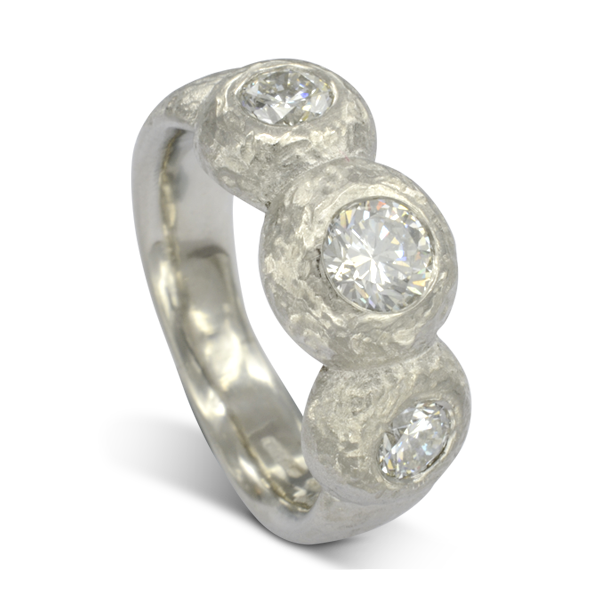 It is also available in 18ct yellow or rose gold. 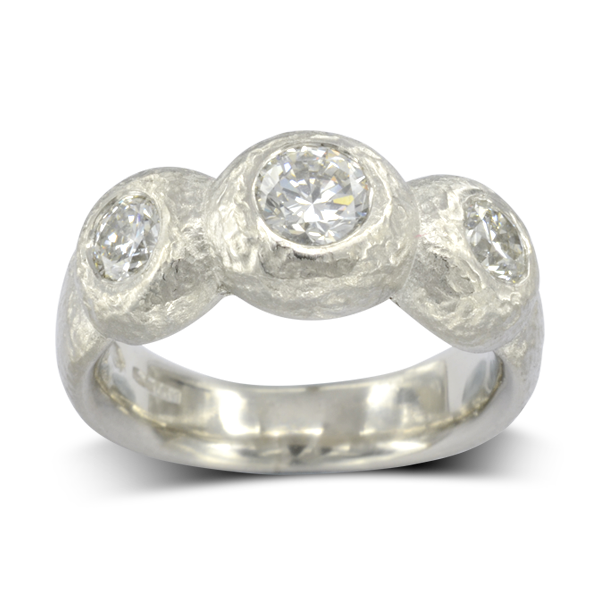 Prices vary with diamond grading, this was made with FSi1 GIA certified ex,ex,ex diamonds.